I have only had my car for about a week now and I gotta say I feel there is something about this community that really has us almost like a family. There is true passion here for our cars and that's probably one of the big reasons this end means so much to us all. With a lesser vehicle I don't think this passion would exist. My hats are off to all you workers who built my car and those among us. It's an honor to own this automobile that so many of us think as our baby. I'm proud to be driving such a fine car and I owe it all to the workers at Wilmington. I can't say thanks enough! I really hope if any of you are reading this that you are blessed as much as we are. License Mod, Opel antenna, tire stem logo'd, custom license plate cover for rear, and windscreen. More to come later. First time I've linked to the Picasa Web site...let's see if it works..
Nice job BellaVerde pics are great! I was just reading your message aloud to Beth, and suddenly I had tears in my eyes and had to take a moment to get back in control. I think you've just said it all the way many of us feel. Thanks. Wow so much has been said, that I wish I could have said. Dan your words represent us as a group, because that is how we feel about this car, and the men and women who build them for us. Thank you all for building this dream car for us. 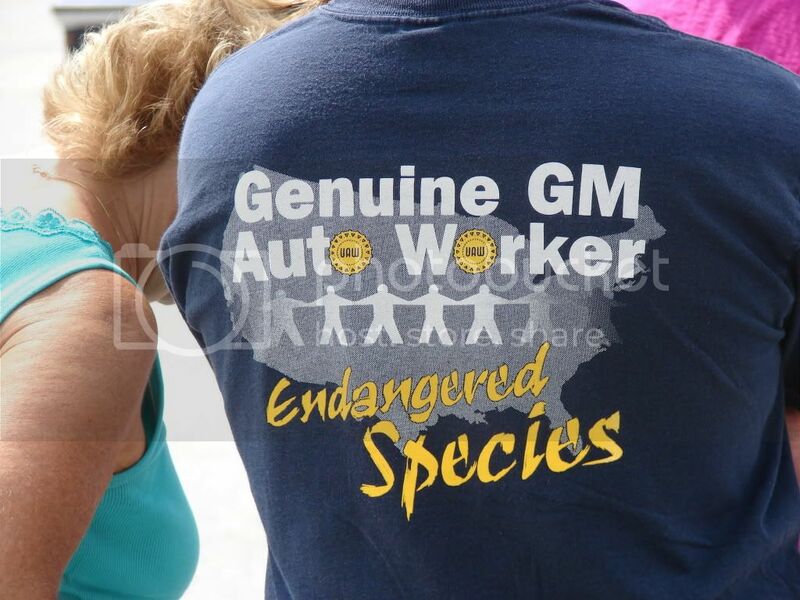 Definitely the end of an era, thanks to GM for building it. Its truly a unique car. I am proud to say I have one of the first ones (60) delivered in August of 2005, and I will make my last payment on it in a few days. Its not going anywhere for a long time. I had to stop reading last week because I got a little dust or something in my eyes. I wish I'd been able to attend. Thanks to all who represented our community and to the fine men and women who brought us all so much joy. Best of luck as you move on. I forgot I took this one at the farewell. I'm deeply saddened by the end of production. I go way back of the 'old days' of early 2004 when a hundred of us 'nuts' hung out here talking and waiting for a a car that was still 2 years away. All the trials and tribulations of the Apprentice launch in 2005 and then seeing the car and community take off in the years that followed. To all the men and women of Wilmington - THANK YOU for all your hard work making kappa a success! The car's short life span was just plain bad timing and factors that were beyond your control. I firmly believe the car would have had a long run and several generations had it not run smack into the worst economy in 70 years. Thanks to all for posting your pictures. Last edited by mceb; 08-07-2009 at 07:43 AM. Thank you Wilmington GM workers who built my Pontiac Solstice GXP Coupe #609 - you are the best. I bought my car the thursday of the week the plant shut down, and I was so lucky to find my coupe. I wrote the President to tell him what a wonderful car my Solstice is, and how much I will miss Pontiac. I still have my 04 Sunfire, a great, ballsy little car, my second Sunfire (I had a 97). My very first car was a 1978 Firebird Esprit which was almost the same blue of my Fresh Solstice Coupe but a bit darker. All my Pontiacs were great but my Sol Coupe is the coolest car on earth! Thanks also for posting all the pictures, I had a catch in my throat seeing them and reading everyone's posts. Let's preserve our Solstices and other Pontiacs, we are the keepers of history now. I'm deeply saddened by the end of production. I go way back of the 'old days' of early 2004 when a hundred of us 'nuts' hung out here talking and waiting for a a car that was still 2 years away. Oh my... what a time that was. That was such a long time ago, but great times none the less! Do you remember how excited we all were back then when we saw the first picture the Solstice with the top up? It was a mysterious and was shot from the rear 3/4 passenger side. We were hanging on every word we could read about it and every picture that we could find. I've been saving photos of the Solstice since it was introduced as a concept at the 2002 NAIAS. We had to hang on for 2 years to find out that they were really going to build it. Those were the days.